Twice per week we will be outside and once per week we will be indoors on the CompuTrainers. 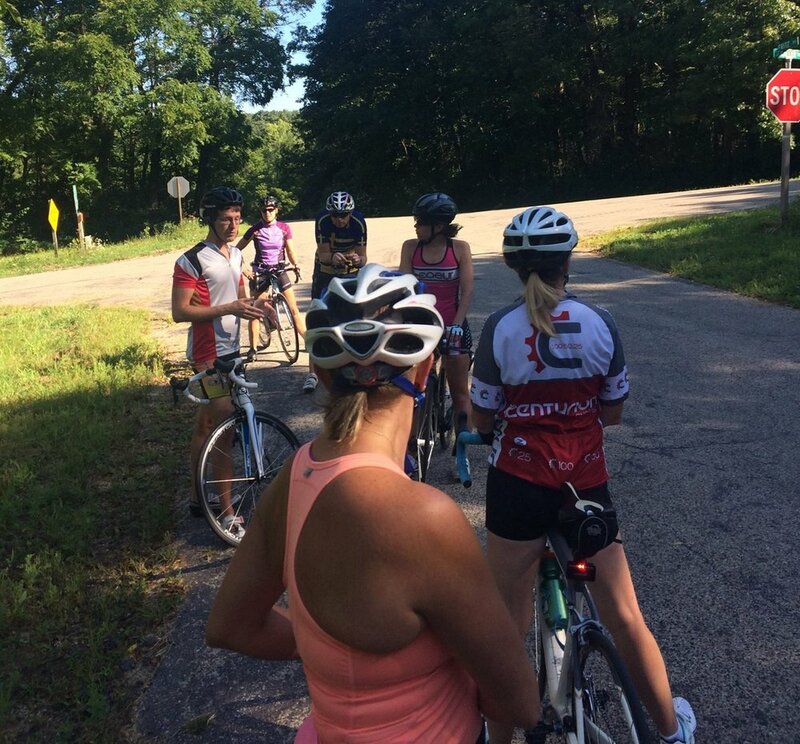 Join us for a structured and coached cycling workout that will ensure you are training properly and effectively. Monday PM and Wednesday mid-morning practices will be mostly held outside in a formal coached practice setting. Thursday AM practices will be 100% on the CompuTrainers. The best training comes from joining an outdoor and indoor session each week, if schedule allows you to join us! PBC - Summer will meet on Mondays at 6:00pm and Wednesdays at 9am for our outdoor programming. Thursdays at 530am will be indoors. SBR Coaches will provide 90-120 minutes of outdoor cycling class and 60 minutes of CompuTrainer riding. Raining on Mondays or Wednesdays? We'll stay indoors and work on our skills on the CompuTrainers. However, sometimes we may hit the CompuTrainers to train in a structured, neutral environment. Early bird pricing until March 31, 2019. Registration is open on MINDBODY. Click the ONLINE STORE folder in the upper right. Choose what SUMMER practice option you are looking for from the drop down menu. If you prefer to pay via cash or check, you may do so in person at SBR.